At one of the key oil-fields in Kazakhstan, Tengiz, the shareholders of joint venture Tengizchevroil (TCO) are starting to implement a new large-scale project to expand extraction capacities - the Future Growth Project. It will allow the JV to increase production of hydrocarbons by more than 4 % in comparison to current indices. The first information about TCO’s intention to realize a large-scale project expansion of production appeared last year. 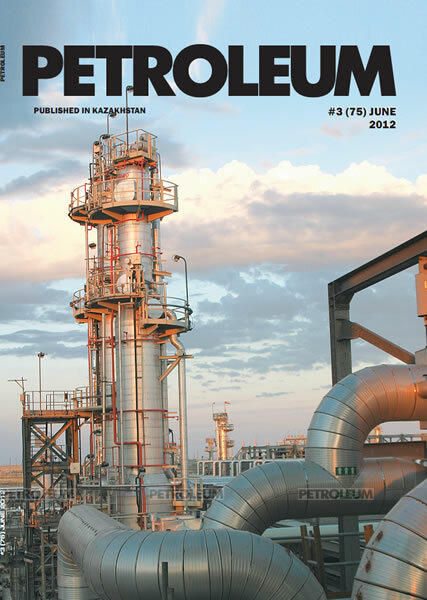 Though the management of the JV has only reservedly disclosed details of the project before its official approval by shareholders, Petroleum has managed to analyze isolated fragments of information revealed over the last months at meetings of TCO’s top-managers with journalists and the public. A compressor station for sour gas injection into reservoirs (SGI-2). Construction is planned on a so-called modular method. If in the previous second generation project (SGP) and Sour Gas Injection (SGI) the equipment was delivered to Tengiz and assembled on site, then, because of uniqueness of FGP equipment, it will be pre-assembled by the manufacturer in big modules, which will be transported to the destination point. As stated by Rzabek Artygaliyev, TCO’s General Manager of Government and Public Relations, the modules will be assembled mainly in Europe and will travel to Kazakhstan along several routes: the Baltic, Black and Azov Seas, and then via the Volga-Don canal and the Ural river. “Along with preparation of a navigation canal, the company plans to lay a new road from Аtyrau to the Tengiz field on which cargo will be transported. This is in order not to block the functioning Atyrau-Aktau roads. 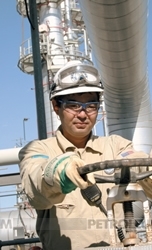 The road will travel along the functioning CPC pipeline,” Mr. Artygaliyev said. The contractors for construction and assembly operations plan to involve Kazakhstani companies to a maximum. Already, a base consisting of over 300 service providers and 600 contract organizations has been formed by the enterprise, and the list is constantly extending.